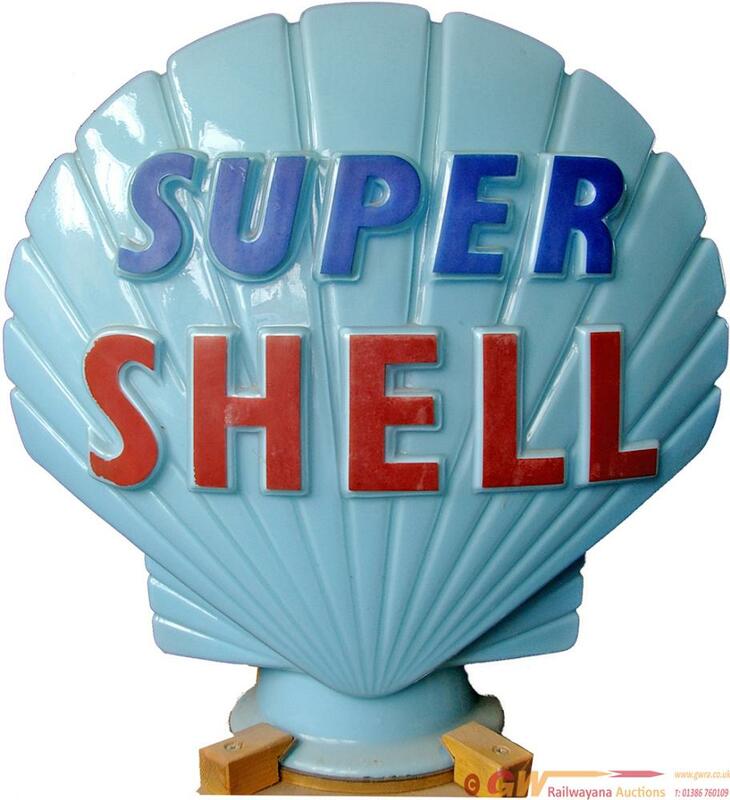 Petrol Pump Globe SUPER SHELL. Light blue background with the word Super in dark blue and Shell in red. Marked on the inside Property of Shellmex & BP LTD Returnable on Demand and on the base Hailware British made in excellent condition with no cracks and a few minor chips to the rim at the base. Mounted on a wooden stand and wired with a bulb although the plug has been removed to comply with safety regulations. Stands 18in tall.